Finally an over-the-counter, mass market highly potent 10% pure Vitamin C Serum that helps to restore healthy radiance to the skin and also helps to reduce the look of wrinkles. Validated in partnership with dermatologists, this lightweight, yet highly potent 10% pure Vitamin C Serum Concentrate effortlessly glides onto skin to immediately restore skin's radiance and help reduce wrinkles. Vitamin C is a vital antioxidant that is naturally found in the skin, has been proven to boost radiance and neutralize free radicals that lead to skin aging. This very powerful but highly unstable molecule degrades when exposed to air, light or water. To help maximize its potency and stability, L'Oréal's Vitamin C Serum was specially formulated without water, packaged in an airtight metal tube sealed until ready to use and produced in controlled conditions to minimize oxygen exposure. This serum is also fragrance-free, paraben-free, doesn't contain any mineral oil or synthetic dyes and is suitable for sensitive skin. For best results, use before Revitalift Triple Power Intensive Anti-Aging Day Cream Moisturizer. This is a solution for uneven skin tone, dullness and wrinkles. Every morning and evening, apply a dime-sized amount onto finger tips and apply to face and neck, gently smoothing into skin. Avoid the eye area. For best results, use before Triple Power Daily Moisturizer. Definitely can be used instead of a night moisturizer or before a night moisturizer. 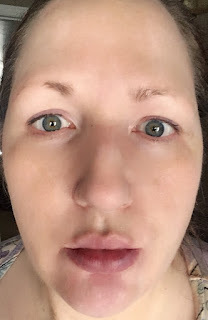 This picture shows me after using the Revitalift Derm Intensive 10% Pure Vitamin C Serum after 3 weeks. 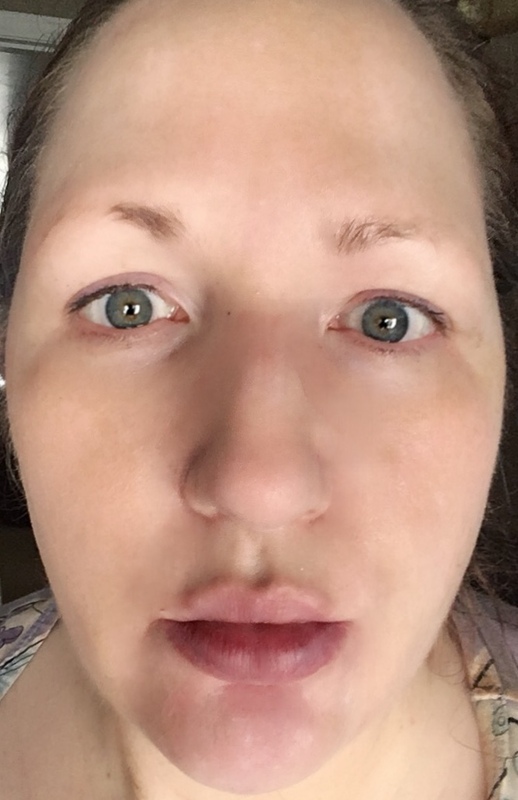 There is a noticeable difference in the amount of pigmentation I had (or rather lack there of). There is also a noticeable lack of wrinkling around my eyes and lips. I also think it has evened out my skin tone a lot. Definitely worth the price for purchase in my book. It works and it works well. It lightens up hyperpigmentation and it helps with fine lines and wrinkles as well as uneven skin tone, which is exactly what is says it will do. 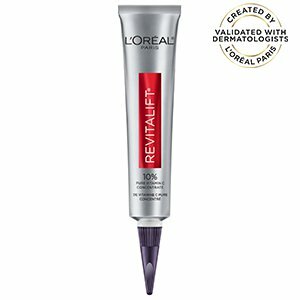 L'Oréal Revitalift Derm Intensives 10% Pure Vitamin C Concentrate retails for $29.99 and can be purchased at mass market retail outlets such as Walgreens, CVS, Rite-Aid, Walmart, Target and also at Ulta. It can be purchased online at www.lorealparisusa.com and www.ulta.com. Like L’Oréal Paris on Facebook: https://www.facebook.com/lorealparis; Follow L’Oréal on Tumblr:http://lorealparisusa.tumblr.com/; Follow L’Oréal Paris on Twitter: @LOrealParisUSA; Subscribe to their YouTube channel: http://www.youtube.com/user/lorealparisnyc and Follow L’Oréal Paris on Instagram:http://instagram.com/lorealparisusa#.